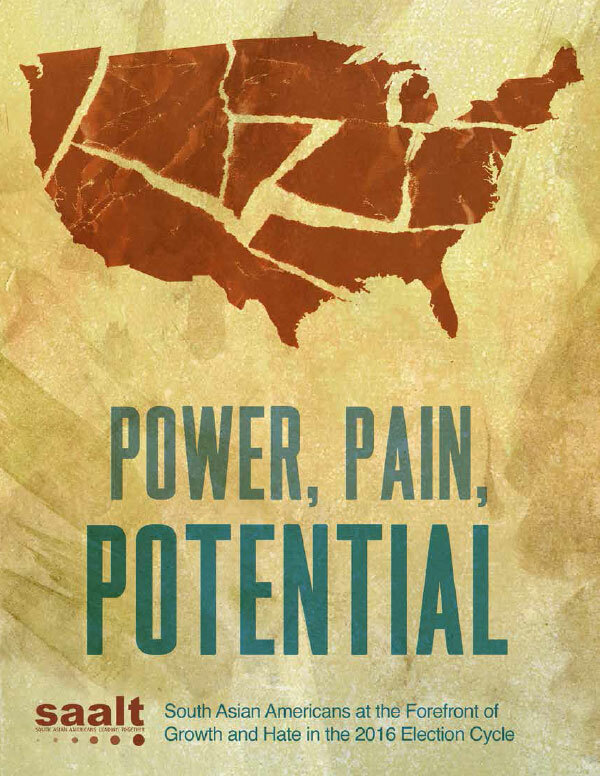 On January 11, 2017, South Asian Americans Leading Together (SAALT), a leading national South Asian American advocacy organization, released “Power, Pain, Potential,” the first comprehensive report documenting hate violence and xenophobic political rhetoric aimed at South Asian, Muslim, Arab, Sikh, Hindu, and Middle Eastern Americans during the 2016 election cycle. This report examines the dramatic demographic growth of South Asians across the United States, particularly in the South, and reveals how increases in population are met with increases in intolerance during the most divisive Presidential election in modern American history. This disturbing data breaks down to 140 incidents of hate violence and 67 instances of xenophobic political rhetoric during the 2016 election cycle. An astounding 95% of incidents were motivated by anti-Muslim sentiment. 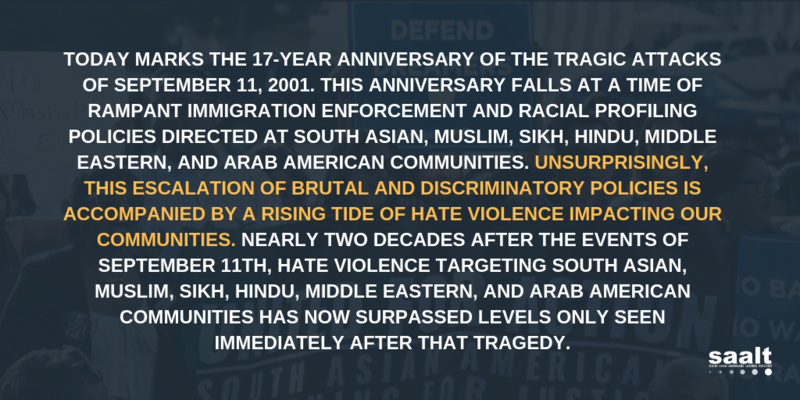 SAALT’s findings are consistent with the FBI’s 2015 hate crimes statistics, which revealed a 67% increase in hate crimes against Muslims from the previous year. Notably, President-elect Trump was responsible for one in five (21%) xenophobic political statements SAALT documented. Against the backdrop of this hostility and the resurgence of white supremacist organizations nationwide, South Asian Americans are the most rapidly growing demographic group in the nation. The largest population growth occurred in the South, where 30% of South Asians currently reside: an increase from half a million to one million since 2000. Thirty percent of the hate violence incidents we catalogued occurred in the South. 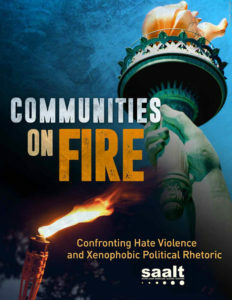 This report also offers policymakers crucial and comprehensive recommendations to address hate crimes underreporting, improve relations between our communities and law enforcement, dismantle policies that promote racial profiling and surveillance, and shift immigration policies to respect and meet our communities’ needs. The new administration must make these recommendations a first priority in order to heal our deeply divided country. Anything less will make the transition of power on January 20 simply a transition of pain for our communities. Contact: Vivek Trivedi; vivek@saalt.org for more information.